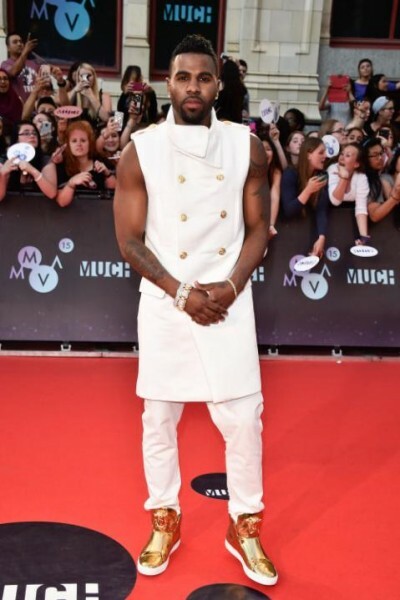 This year’s MMVAs did not disappoint! With a beautiful stage and star-studded list, Toronto was in for a treat. All of the celebs sparkled as they walked the red carpet but here’s our top 16 picks of the night. 15. The guys of Marianas Trench never fail to make a big splash on the MMVA red carpet and this year was no different. I love the car and set-up but could have done without the speedos. But YOLO because it’s the first day of summer. 14. 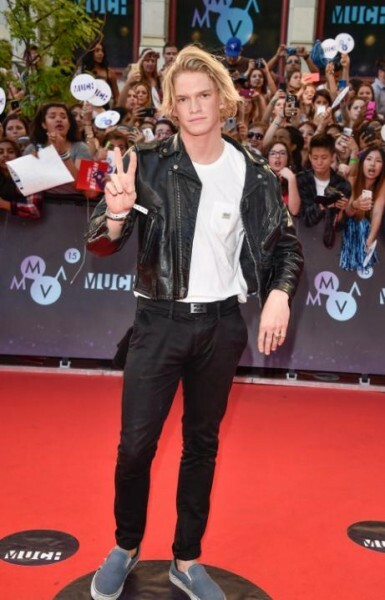 We love that Cody Simpson stayed true to himself on the red carpet – black leather jacket and casual slacks. Peace out Codes! 12. It’s Jason Derulo (you have to sing his name when you say it out loud or else it doesn’t sound right)! White is the colour of summer but those gold shoes totally stole the spotlight. 11. We really, really, really, really like Carly Rae Jepsen looking pretty in pink. 10. 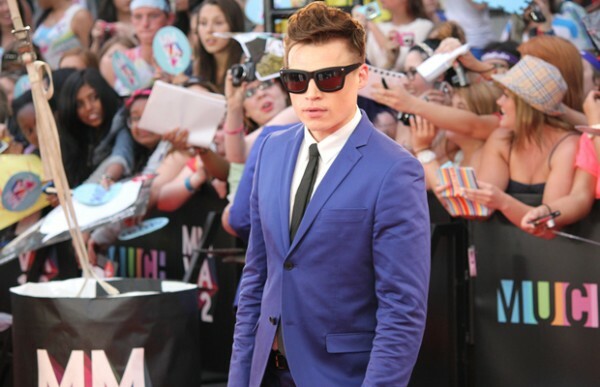 Shawn Hook is looking like a GQ model in his suave blue suit. 9. Mia Martina not only killed her performance on the MMVA stage but she also looks like a beast in white on the Red Carpet. 8. Hailee Steinfield is killing it on the red carpet with her short and sparkly dress. 7. 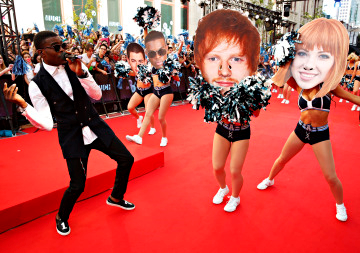 One of my favourite moments from the red carpet is when Omi performed his hit “Cheerleader” with Ed Sheeran and Carly Rae Jepsen impersonators. 6. We’ve got to give a special shout out to Much host Liz Trinnear for shining like a fairy godmother on the Red Carpet – making all of our celebrity wishes come true. 5. We really wish that more guys would dress like Adam Lambert (I mean, if you’re into that rock-hipster-chic look). We’re glad he went all out with a sparkly shirt because it’s totally working for him. 4. Debby Ryan made grandma hair cool and she’s about to make female pant suits the next best thing. Love it! 3. This Modern Family starlette, Sarah Hyland, is spicing up the red carpet with her low cut, hi-slit, peek-a-boo dress.